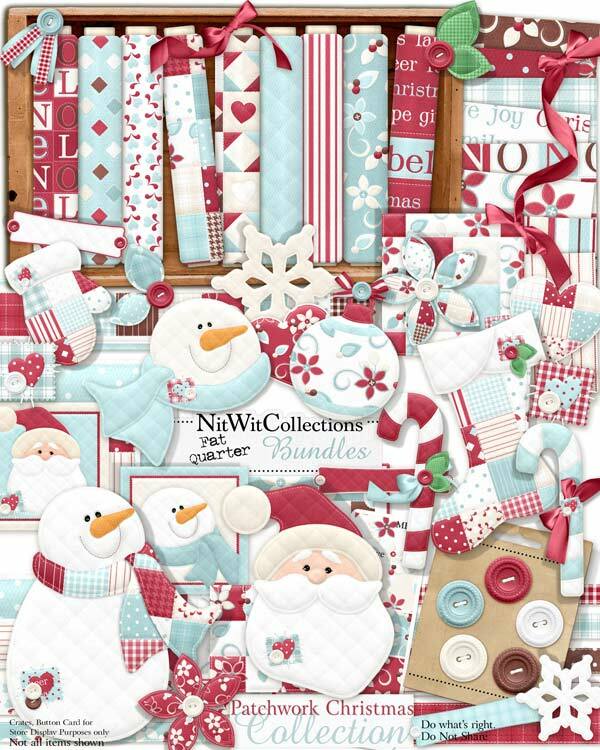 "Patchwork Christmas" Collection is a Christmas Collection for all of us fabric lovers out there! The stitched elements and papers in this Collection are sure to "warm" your heart and hands with creative ideas on this, the most festive of Holiday Seasons! 5 Buttons - what else would be included in this fabric-feel Collection?! 2 Candycanes in the predominant colours of this kit, to match everyone's "tastes"
4 Holly elements - I think LG picked a leaf off of one of them, so he is to blame for that! 1 Mitten - sorry the dogs ate the other one....really!! 3 Quilt squares - just what you think they are!